Growing up in a Hindu temple in South India, Sadhu Chellappa mastered the Indian Scriptures. In the temples, he found practices and beliefs contrary to the scriptures. This led to his asking many questions to his teachers and masters. Not satisfied with answers he left the Hindu faith and became an atheist. After a series of failures he decided to commit suicide. In a dramatic conversion, as he planned to jump from a train in the city of Madras, he heard a verse from the Bible being quoted by a preacher in a Christian meeting. "He who conceals his sins will not prosper, but he who confesses and forsakes them will receive pardon" (Proverbs 28:13). He immediately got down at the next station and walked to the meeting and he found the Lord Jesus Christ in his life. This was on May 14th 1967. Soon after, he started sharing his testimony and preached the Gospel everyday. Within a few years, he had preached in all major cities, towns and villages all over Tamil Nadu. Thousands were saved and baptized and added to the churches. 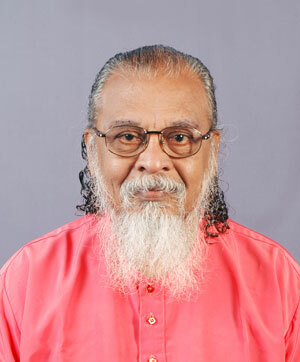 In the year 1982, he started publishing the Agni (fire) monthly magazine in Tamil, which now is read all over the world by Tamil speaking people. In 1974, he became a full time Evangelist and started the Agni Ministries. In the year 1995 God gave him a new vision to plant churches. Now he has 27 churches and pastors, four full-time Evangelists and an office with four faculties. He has sent one missionary to North India in Uttar Pradesh State in a small village by name Padampuri where there are no Christians at all. Now after two years there are eight Christians. 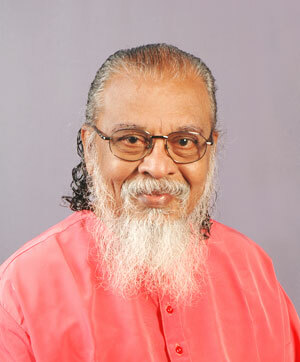 A profile writer, Sadhu Chellappa has written more than twenty-eight books in Tamil and two in English. His most popular book "IS CHRISTIANITY A NECESSITY?" is always in demand and will go into reprint for the fifth time. His English book BIBLE AND BAGAVAT GITA, VARANASHRA DHARMA (Caste systems) are sold like hot cakes. In 1983, Sadhu Chellappa met Dr. Billy Graham at the itinerant Evangelists conference at Amsterdam. He was then interviewed and his life story appeared in the "Challenge" magazine published by Campus Crusade, U.S.A. A regular speaker at the Impetus conference in Colombo for the Third world Pastors and Evangelists, Sadhu is a close friend of Dr. Colton Wickramaratne, the Senior Pastor of People’s Church, Colombo and his ministry has seen numerous Buddhists and Hindus saved in Srilanka. Most of the Srilankan Tamil Hindus who are scattered as refugees through out the world became Christians through Sadhu`s ministries. Sadhu Chellappa’s life story has appeared in "The Edge" a leading British Christian magazine in its May 1996 issue. Rev. Colin Dye, the Senior Pastor of Kensington Temple, London, the largest church in England, interviews him. 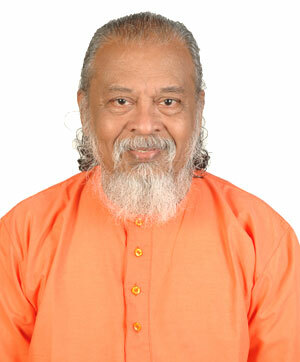 Sadhu Chellappa’s message is "Christ and Him crucified". He is the only way, the truth and Life. The Vedhas, the ancient Indian sacred writings had anticipated the coming of Christ to take away the sins of man. They call Him Purusha Prajapati the creator God who would come as a man to offer himself as a sacrifice. Jesus Christ came to fulfill the Vedic quest of the Indian people, because the Vedhas are incomplete without Him, just as the Old testament was fulfilled at the coming of the Messiah.